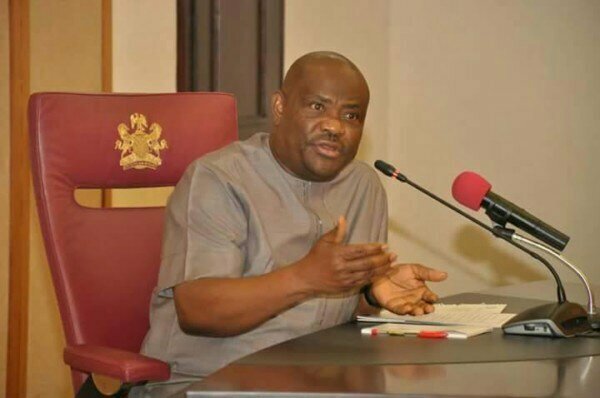 The Ekpeye Ethnic Nationality is one of the key strongholds of Rivers State Governor, Nyesom Wike. It is a fertile ground where the people are totally in support of Governor Wike for his outstanding contributions to the development of the area. Through positive engagements and investments, Governor Wike revived the development process in Ekpeye Kingdom. It has been the same story within the Engeni Ethnic Nationality, where the governor has executed key projects for the good of the people. Over the period, Governor Wike has elevated four Chieftaincy Stools in Ahoada East and Ahoada West Local Government Areas to first class status. In Ahoada East Local Government Area, Governor Wike has invested in: Edoha-Ikata-Ochigba Road, Ahoada-Ekpena Road (ongoing), Ahaoada-Odiemerenyi-Ihugbogo-Odieke-Akoh Road (ongoing), Zonal Hospital, Ahoada (ongoing reconstruction), Western Ahoada County High School, Ahoada (ongoing reconstruction), GJSS, Ogbo and Government Primary School, Ahoada. Others include: St. Peter’s Primary School, Ahoada, Government Primary School, Edeoha, GJSS, Odiabidhi (ongoing) and Electrification of Ihuaba, Idoke, Ihuowo, Ihuama (Ward 10) – Awarded. In Ahoada West Local Government Area, Governor Wike is constructing Odiokwu Internal Roads, Odiokwu-Anwuigboko and Odiokwu-Oyigba Roads. Also under construction in the area is the Model Primary Healthcare Centre, Odiokwu. Also in the Ahoada West Local Government Area, Governor Wike is reconstructing Government Secondary School, Okarki and several other schools in the area. However, the most outstanding contribution of Governor Wike to the development of Ahoada is the siting of two faculties of the Rivers State University in Ahoada. The Faculties of Humanities and Social sciences will operate from Ahoada Town. These faculties will re-engineer the economy of Ahoada, create jobs and improve access to university education in the area. This is a lifetime gift to the people of Ahoada, a means of permanently creating opportunities of growth to the people. Two highly viable faculties of the State University will attract millions of people from across the country and internationally, to Ahoada. The multiplier effect of this investment cannot be estimated. In very simple terms, it means more houses as quarters for staff, more buildings as hostels for students, more vehicles in the town for logistics and more security presence. For the first time since independence, Ahoada is getting the required attention. This is an initiative to transform Ahoada into a full-fledged urban centre. An urban centre that would play a critical role in the massive growth of Rivers State and the rest of the South-South geo-political zone. In a bid to comply with the Governor Wike’s directive that two faculties of the state university, Humanities and Social Sciences be moved to Ahoada East Local Government Area, the Vice Chancellor of the Rivers State University (RSU), Prof. Blessing Chimezie Didia has taken steps to actualize the project . Prof Didia has visited Ahoada East Local Government Area and has commenced processes for the establishment of the the proposed Ahoada Campus of the Rivers State University. He lauded the robust educational policies of the present government in the state, adding that the state government has provided the enabling environment that promoted qualitative teaching and learning in the state. Governor Wike’s development of different parts of Rivers State is strategically targeted at lifting people and communities. For the people of Ahoada, they would witness the blessing of having a pro-people leader beyond the projects already executed for them. Long after 2023, the developmental process kick-started by Governor Wike in Ahoada will continue to blossom. An investment in university education is a lifelong gift for Ahoada to continually renew itself. • Nwakaudu wrote in from Port Harcourt.